The IRS has nowhere near enough money to do the job asked of it, shortchanging everyone in the long run. That the IRS is not beloved is an understatement: Years of polling shows that most Americans think the agency does a middling job at best, and believe that it uses its oversight of the tax system for nefarious political ends. A Gallup poll this year showed only the scandal-plagued Veterans Administration has a worse rating among Americans than our beleaguered tax collectors. But the IRS is actually getting a bum rap: Its biggest problem is that it has nowhere near enough money to do the job asked of it. And that lack of funds is a direct result of conservative politicians having a vested political interest in making sure that paying your taxes is as miserable an experience as possible. Despite the fact that the Republican-controlled Congress passed a giant overhaul of the tax code this year, it decided to give roughly the same amount of money to the IRS as it did the year before to implement all those changes. Its previous budget was already an inadequate baseline from which to be working, since the agency faced big reductions under the Obama administration. Since 2010, the IRS budget fell by 23 percent in inflation-adjusted dollars, according to the Center on Budget and Policy Priorities, and the agency lost about 14 percent of its workforce. Funding shortfalls manifest as annoyance for anyone who requires the agency’s expertise. According to the IRS’ taxpayer advocate — which represents taxpayers’ interests — only four in 10 phone calls to the IRS will result in someone receiving live assistance this fiscal year; the average wait time before getting a live human last year was more than half an hour. Since 2014, the agency will only answer “basic” tax questions on the help line, and it doesn’t deal with any questions after the April filing deadline — even though millions of Americans legally file their returns past that date. Such issues are only going to get worse as Trump’s new tax law — which at a minimum requires that the agency amend some 450 forms to prepare for the 2019 filing season — goes into effect. No less than Trump’s treasury secretary, Steven Mnuchin, has voiced concerns about the IRS’ staffing levels being adequate to the challenge of implementing the tax law (not that this stopped the Trump administration from suggesting further budget cuts). The IRS also currently doesn’t have a permanent director, though one has been nominated. Cutting funding to the IRS in order to save a few bucks on the federal budget not only makes things more complicated for individuals and business owners, but it winds up shortchanging everyone in the long run. It results in more tax cheats getting away with their shenanigans, as the IRS can’t engage in enough enforcement measures to catch those attempting to bend the rules. That, in turn, results in less revenue to spend on the things people actually need. According to Treasury Department estimates, every dollar spent on IRS enforcement raises $6 dollars in revenue. The so-called “tax gap” in the U.S. — the difference between what’s owed each year and what is actually paid — is about $450 billion, according to the latest available data; only about $50 billion of that is eventually collected. So there’s a huge pot of potential revenue, that is legally owed under today’s laws, that the government simply forgoes collecting because of penny-pinching on enforcement. And those pennies have indeed been pinched: Enforcement personnel has dropped precipitously at the agency, including a 30 percent drop in auditors between 2010 and 2017. Last year, the IRS’ audit rate was the lowest it’s been since 2002. This state of affairs isn’t exactly a secret in Washington, and yet the IRS has seen year after year of budget reductions anyway. Why? The confluence of two factors: A conservative movement that demonizes taxes because it wants to cut them and a tax preparation industry, led by the makers of Turbotax and H&R Block, that wants taxes to be as difficult as possible so that its services are required forever. The two have conjoined to make tax paying harder, by lobbying against reforms that would simplify the process and donating to Republicans in Congress who constantly reduce the IRS budget in the name of faux-fiscal responsibility. Contrary to the popular perception, Americans generally think their taxes are reasonable (which is good, because they live in an exceedingly low-tax country by international standards). It’s not paying that gets them incensed, but the notion — real or imagined — that others aren’t paying their fair share. Crippling the IRS makes that perception more real by enabling tax cheats to get away with their games. If taxes are the price of civilized society, as Supreme Court Justice Oliver Wendall Holmes put it, then the IRS is the wall between us and chaos. Congress needs to pony up so that the whole thing doesn’t fall over. 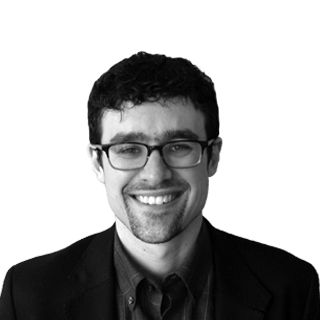 Pat Garofalo is a writer and editor in Washington, D.C. He’s working on a book about taxes and corporate power.